On February 20th, we covered how Ted Kaczynski (the “Unabomber”) blew up a computer store in 1987. Today marked the end of his reign of terror as he was finally arrested on April 3, 1996. A recluse who was anti-technology, he probably would not have been caught without his brother having turned him in. Here are 10 civilian people who are known for bombing, good or bad. (For our companion list of military bombers, please see this article). Please Note: This list is not a rogues’ gallery! It includes good guys as well as bad guys famously associated with bombs or bombing. Entries have been expanded on as of April 4, 2018. Known as “The Shoe Bomber,” Reid is English born and a convert to Islam. Only 3 months after the September 11, 2001 World Trade Center attacks Reid tried to blow an airliner up with a bomb hidden in his shoes. A bungler that joined al Qaeda (the terrorist outfit) in Afghanistan, Reid was unable to get the explosives to detonate and was arrested. He now sits in jail for the rest of his life. He is familiarly known as “The Father of the Hydrogen Bomb.” The “H-Bomb” was many times more powerful than the “A-Bomb.” Teller hurt his reputation among his peers by questioning Oppenheimer’s security level during “Red Scare” congressional inquiry into the security of our nuclear programs, and also by claiming that he (Teller) was primarily responsible for inventing the “H-Bomb” (fusion bomb) and scoffing at Polish-American scientist Stanislaw Ulam that had worked on the project with him and may actually be more responsible for the success of the design. Familiarly known as “The Father of The Atomic Bomb,” he headed up the team on The Manhattan Project that invented the atom bomb for the US during World War II. 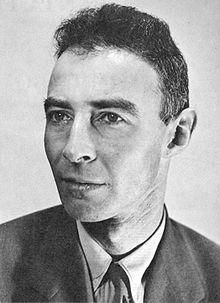 Oppenheimer was born in New York in 1904 to a non-practicing Jewish family. His parents had immigrated penniless from Germany and had become wealthy in the textile business. Robert received a good education and attended Harvard for his undergraduate work, graduating with highest honors in Chemistry and Physics in only 3 years. He then went on to Cambridge (Christ’s College) and the University of Gottingen in Germany where he earned his Doctorate at the age of 23. His lifelong habit of heavy smoking probably helped cut short his life, as he died at the age of 62 in 1967. He was the founder of Boeing in 1916, the company that made the B-17 and B-29 in World War II, the B-47 and B-52 during the Cold War. His planes dropped more bombs than anyone else’s, ever, anywhere. Of course, as well as being the most famous maker of bomber aircraft, Boeing and his company are also the most fruitful designers and builders of passenger aircraft in aviation history. Boeing was born in Detroit in 1881 and died in 1956. He was educated at Yale. 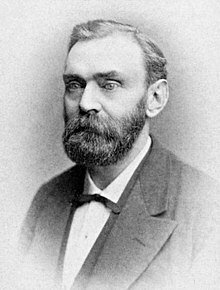 He was the man that invented dynamite, the first of the practical “high” explosives. By the way, dynamite is nitroglycerine (unstable in the extreme) combined with a certain type of clay which makes it stable enough not to be dangerous to move around. Yes, he is the one that founded the Nobel Prizes. Born in Sweden-Norway (it was one country back then), he came from inventive stock, as his father is the inventor of modern plywood. Alfred himself was an accomplished chemist, businessman, inventor and philanthropist, and had earned 355 patents. Among his products that went BOOM, Nobel also owned the company Bofors, a cannon manufacturer best known for producing aircraft, anti-aircraft, and naval guns. These scumbags are more commonly known as the Boston Marathon bombers. They emigrated to the US from Russia (Chechnya) and despite having a wonderful life in this country, decided to kill innocent strangers because they do not like Israel. To help their victims, please see the list of “Top 10 Fundraisers & Charities For Boston Marathon Bombing Victims“. Both Shell Harris (owner of Toptenz.net) and Matthew Zarzeczny (writer) have contributed to some of these and we encourage others to do the same. Thank you for your generosity. Tamerlan Tsarnaev was shot in a shoot out/running chase with the police, and killed when his brother ran him over with the get away car. Dzhokar was later shot by the police but survived to be convicted of murder and terrorist acts for killing 3 people and wounding another 264 on April 15, 2013 with a bomb at the finish line of the 2013 Boston Marathon. Tamerlan was 26 when he died and Dzhokhar is now 24 not yet executed as sentenced. He has the dubious claim to being THE Mad Bomber, blowing stuff up from the 1940’s through the 1950’s. Of the 33 bombs he set, 22 exploded. On January 22, 1957, long before the terrorist bombings of recent years, the “Mad Bomber” terrorizing New York City was finally arrested! He had been injured in 1931 while working for Consolidated Edison (Con-Ed) and had been disabled from lung injuries. Metesky thought he was never properly compensated for his lost health and lost a series of efforts to get workman’s compensation. He also later claimed to have tried to attract media publicity for his case but was ignored, just as he claimed his pleas to various government agencies were ignored. Not surprisingly, the “Mad Bomber’s” first target was Con-Ed, where he left a pipe bomb on a window sill. That bomb did not kill anyone, nor did any of the dozens that followed in the next 16 years, but the bombs were potentially lethal and several injuries were inflicted. Metesky was found to be insane and was sent to an asylum where he stayed until released in 1973. He died in 1994. He was the main perpetrator of Oklahoma City Federal Building bombing in 1995 that killed 86 people. Working with Terry Nichols, the reason for the bombing was revenge against the Federal Government for the Branch Davidian raid and siege at Waco, Texas, and the Ruby Ridge shootout in Idaho. Both these domestic terrorists were Army veterans. Nichols was only sentenced to 169 life terms as he avoided a death sentence. He plotted to blow up British Parliament (and the rich snobs in the House of Lords for which he is today a revered figure by the common folk in Britain) during the reign of King James I in the early 1600s. Fawkes also inspired the more recent graphic novel (later adapted into a major motion picture) titled V for Vendetta. The Blu-ray release of the film includes a feature titled “Remember, Remember: Guy Fawkes and the Gunpowder Plot.” Moreover, masks of his face are worn not just by the fictional “V”, but by the real-life members of the hacktivist group Anonymous and Great Britain even has a holiday commemorating the “Gunpowder Plot” associated with Fawkes. As for Fawkes, he died via hanging. His corpse was then quartered as a warning to any other potential traitors. On February 20, 1987, one man’s hatred of modern technology led him to blow up a computer store. He gained infamy for being known as the Unabomber. He was living in a cabin without electricity typing his manifesto on a manual typewriter. When he was against technology, he apparently meant it, except of course for letter bombs. The computer store was his 12th target in his sick campaign that ultimately killed 3 people with 16 bombs from 1978 to 1995, injuring another 23 persons. A mathematical genius and college professor, Ted obviously went insane and moved into a secluded cabin in Montana off the grid. He was finally caught when his own brother told authorities the composite picture looked like Ted. Kaczynski was sentenced to life without parole. Lindqvist, Sven and Linda Haverty Rugg. A History of Bombing. The New Press, 2003. Previous ArticleApril 3, 2008: Polygamist Ranch Raided in Texas! Next Article April 4, 1841: Why Do Presidents From Ohio Die in Office?